Robert and Graham wanted to offer something that men didn’t have the option to purchase. Stock’s wife is an artist and colorist. She and another designer have a love for bold, bright colors. No dusty or murky colors are offered in this line! Over the years the line has evolved but really never changed. Its premium fabrics, impeccable craftsmanship, one of a kind trims, and collectible line remains. His collection offers accessories, shorts, jeans, pants, jackets, polos, and wovens. 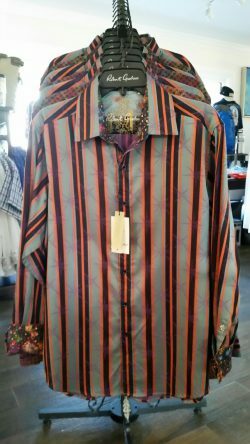 Visit any of our locations for the best selection of Robert Graham at Coastal Outfitters anywhere in this area.